Who has been selected for Sangita Kalanidhi Award 2018 for her contribution to Carnatic music ? Which has became the Vice-Chair (Regional head) of the Asia Pacific Region of the World Customs Organisation (WCO) for two years from July 2018 to June 2020 ? Which country has recently unveiled the 64-dish MeerKAT radio telescope, slated to be the world's largest and most powerful telescope on its completion in 2030 ? Who has recently became the first transgender judge in Assam ? Who has been recently appointed the interim Coach of the National Women's Ccricket Team until the BCCI finds a suitable replacement for Tushar Arothe ? "Improving the image of TVET (Technical and Vocational Education and Training)" is the theme of which International Day of the year 2018 ? World Youth Skills Day is observed on ? In a first of its kind initiative, which state govt is going to appoint Girls as a District Brand Ambassador who have recorded significant achievements in any field under the Beti Bachao-Beti Padhao scheme ? Union Ministry of Drinking Water and Sanitation (MDWS) has recently launched a rural cleanliness survey to rank all states and districts on basis of qualitative and quantitative evaluation. Name it ? An Indian cricketer has recently announced his retirement from all forms of cricket, exactly 16 years after leading India to victory in the NatWest Series final. Name him ? Which Indian gymnast has been appointed as the brand ambassador of Tripura ? Home Minister Rajnath Singh recently inaugurated India's largest visa centre in the world at ? The Union Government constituted a high-level task force to identify various items and policy interventions to reduce dependence on imports. It will suggest ways to cut import of those items which can be manufactured or explored in the country. Who is the head of this task force ? The Odisha government has constituted a ‘Heritage Cabinet’ to preserve the Odia language and the state’s culture. Who will be the head of this cabinet ? Name the first-ever Indian wicketkeeper to take 300 catches in ODI cricket ? 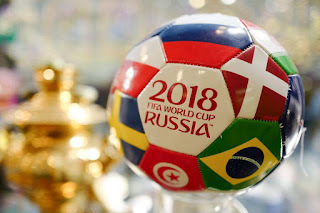 Which team has won the 2018 FIFA World Cup finals by defeating Croatia ?